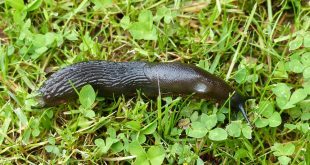 Slugs are common garden pests that are like snails but without the shell for protection. Their size can be between 1/4″ to 10″ in length and come in a variety of colors from light grays or yellows to shades of black. They will cause serious damage to plants if left to do their thing, young plants are especially at risk and can be destroyed entirely. Here are a few different home remedies and tips that I’ve gathered over the years, these are natural options that don’t include harsh chemicals. Save leftover coffee to spray plants that have a problem, make sure to spray underneath the leaves as well as the stems and surrounding soil. 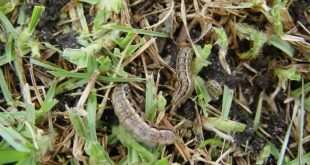 You can also sprinkle a layer of used coffee grounds around the plant to ward off these pests. 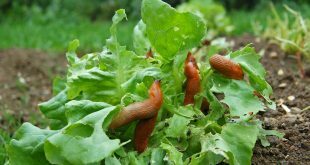 Slugs won’t like it and will likely move on to greener pastures in a few short days. Pour 1 cup household vinegar and 1/2 cup water into a spray bottle. 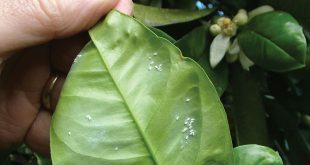 Spray this solution on the ground as you see them, but be careful not to spray the leaves of plants since the vinegar and water will damage them. Copper rings, mesh, and tapes can be placed around individual plants to deter them, the slug will receive a bit of a shock when it comes in contact with the copper. Look for these in your local garden center. 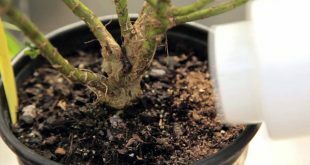 Sprinkle a generous layer of crushed egg shells around the plant, they will give up trying to reach the plant since it’s so uncomfortable for them to get across the jagged shells. 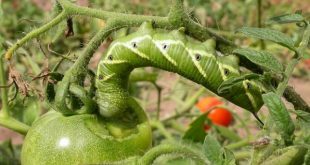 A natural solution for insects of all kinds (ants, snails, etc.). 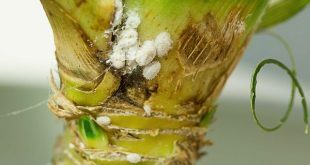 Sprinkle diatomaceous earth on top of the soil around plants with pest infestations. Reapply if it gets wet.